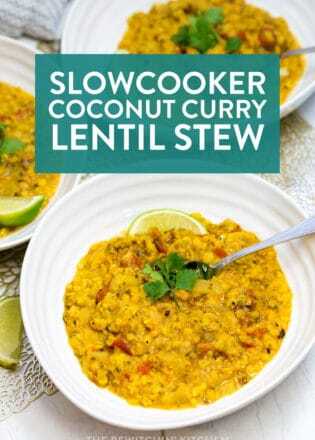 Nothing is as easy as throwing a bunch of ingredients in a slow cooker and calling it a day. This classic CrockPot Beef Stew is one of the best recipes I have in my recipe box. It’s simple comfort food recipe that has no fuss. I’m so excited to share this easy CrockPot beef stew recipe with you guys today. 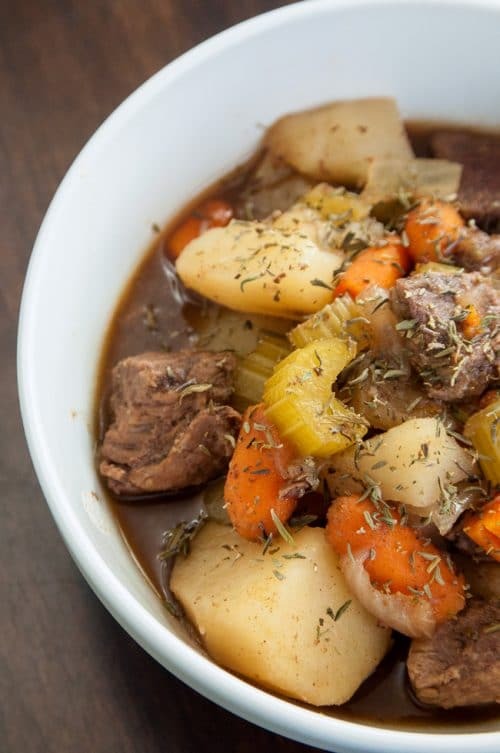 Because not only is this a great recipe but it’s the recipe that I grew up on, so in my mind, it’s a classic beef stew recipe that is timeless. I hope you guys like it. It’s a chilly day (pun intended) here in central Alberta and with the leaves changing color I have immediately converted my cooking style. 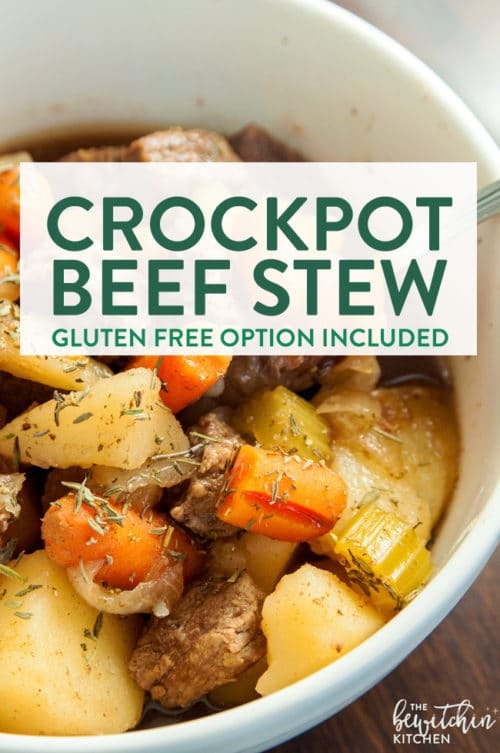 We’ve been having a lot of comfort food lately and one of my favorites is CrockPot beef stew. As I mentioned before, this particular recipe is the one that I grew up on, and it’s incredibly easy. Throw it in the slow cooker and let it do its thing, kind of easy. Heaven knows how much I love my CrockPot. 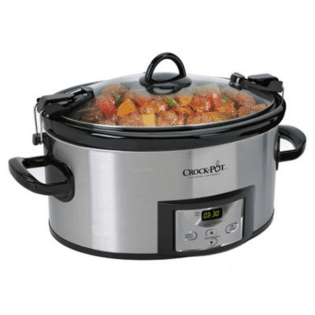 The CrockPot is heaven sent (here is the one that I have), I bought it from Costco but you can get it anywhere. If you’re looking for another amazing stew recipe, you should check out this Red Wine Beef Stew. It’s my favorite stew recipe, and I love serving it over creamy garlic mashed potatoes. 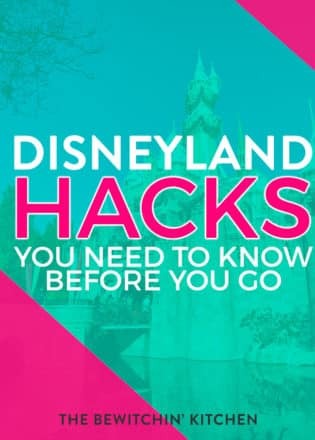 Plus it’s another way to get rid of leftover red wine that’s sitting in your fridge (I know, what’s that?). 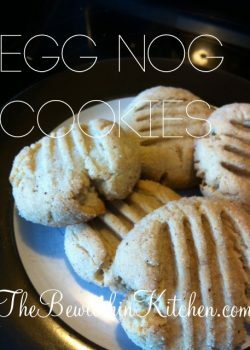 My personal favorite is arrowroot flour or tapioca flour. However, you can use an all purpose gluten free flour if you would like as well (here’s how to make it). 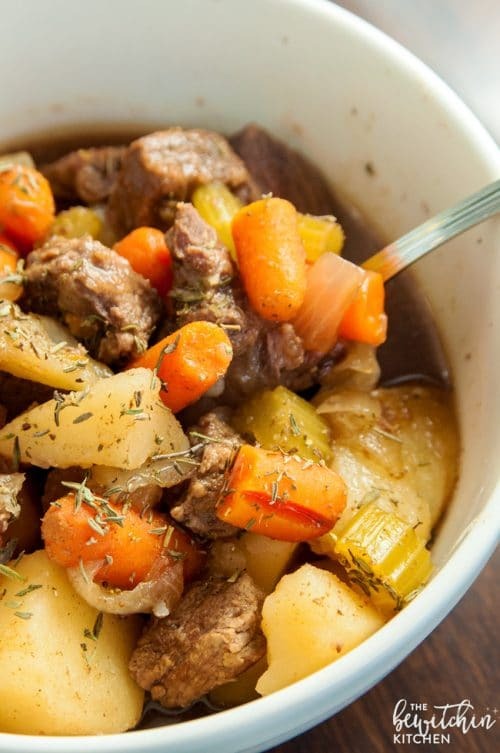 Whether you cook this classic stew recipe on high for 4-6 hours or low on 8-10 hours. One thing to make sure is that the meat is so tender that it falls apart. I usually wing the amount of Worcestershire sauce, but I’m guessing it’s about 2 tbsps. Randa’s Tip: When it doubt, go small and adjust and taste towards the end. 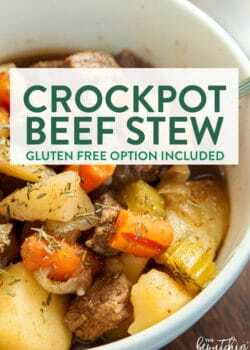 Don’t forget to check out the Instant Pot Gluten Free Beef Stew. 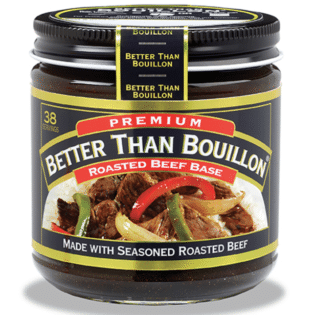 Beef broth (if you don’t have a carton at home make it with this beef base). 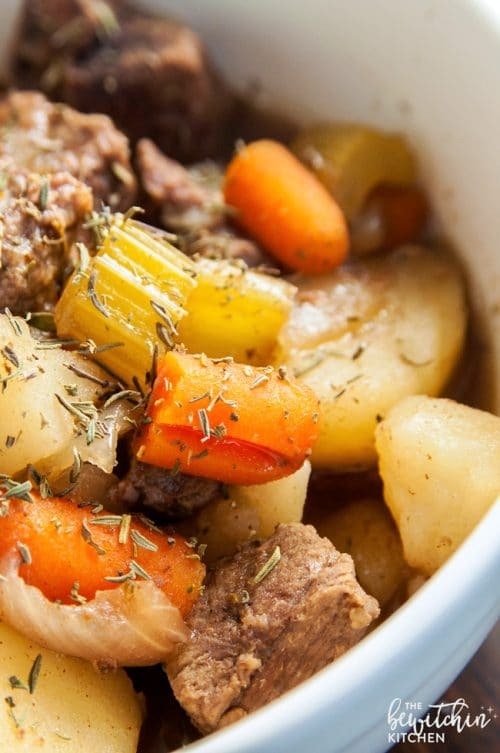 This crock pot beef stew recipe has such simple meat and vegetables as ingredients, but together they make a delicious meal. If you’re like me and are more of a visual learner, watch the CrockPot Beef Stew recipe video! Dump the ingredients in the slow cooker. Cover and cook, then walk away. 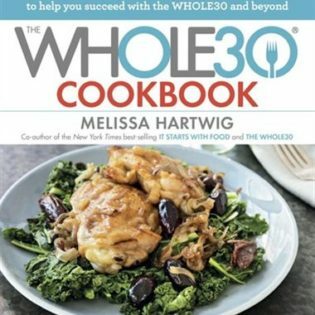 I understand that most stews typically start with browning the meat, but it’s not needed with this recipes. The beef falls apart after that many hours in the slow cooker, it’s to die for. Randa’s Tip: If you want to save some money, you can buy a chuck roast and cut it into chunks yourself for the stew meat. You’ll have plenty leftover that you can freeze for next time. Leave me a comment and answer this question for me: What’s your favorite go-to CrockPot creation? 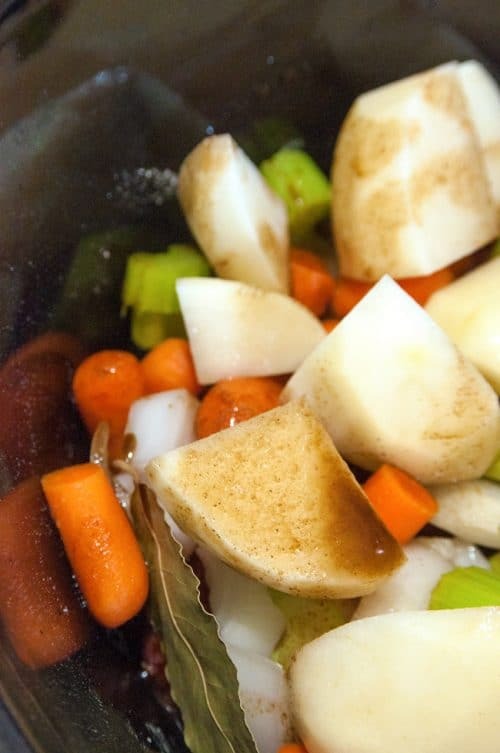 A classic beef stew recipe using one of my favorite kitchen tools - a CrockPot. Add the stew meat to the bottom of your Crockpot/slow cooker and toss with the flour, salt, and pepper. Add the rest of the ingredients. Cover and cook on high 4-6 hours or low 8-10 hours. 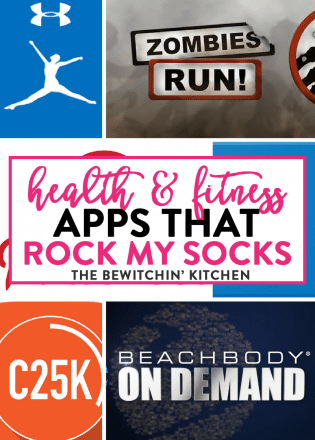 Look great, wishing I had a bowl right now!Thanks for linking up to Merry Monday! 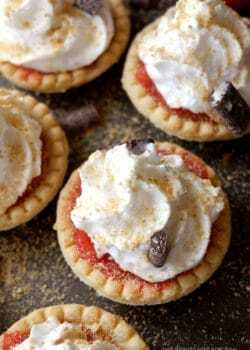 Pinned to my Fav Recipe board! Have a great week! This inspired me to make for dinner today. I am having one of those days I don’t feel like cooking but I have a lot of baking to do. This is perfect because by the end of the day I will not feel like being in the kitchen anymore. I’m having one of those days myself! It says 1 1/2c of beef broth 🙂 You scared me for a minute, thought my thyroid brain got the best of me (wouldn’t be the first time). 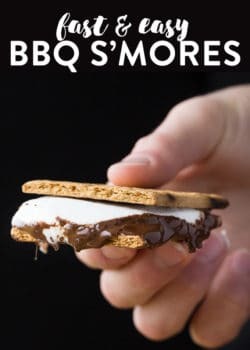 cant wait ti try this. Can you be more specific about how much “one package” of stew meat is? One pound? I’ve already made this once. It was delish! Thanks for posting and for your answer. I’m using beef roasts I have in the freezer, that’s why I wanted the weight. Thanks again! My husband will be smoking a brisket tomorrow and I know we will have meat left over? 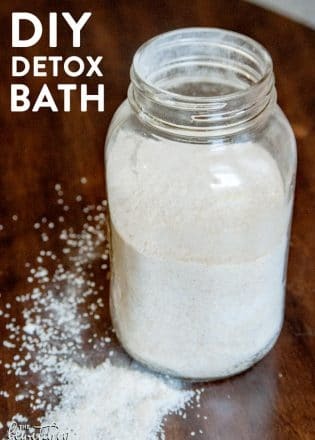 Do you think I could use it in this recipe? If so, since the meat is already cooked, should I add it after the rest of the ingredients have been cooked, or do you think that it would make it even more tender cooking it in the juices all day? Oh that sounds amazing Darcie! Yes! Throw it in there, it will be fine the whole time to soak in the juices. Keep your eye on it, you may have to add a little more broth than the recipe calls for.